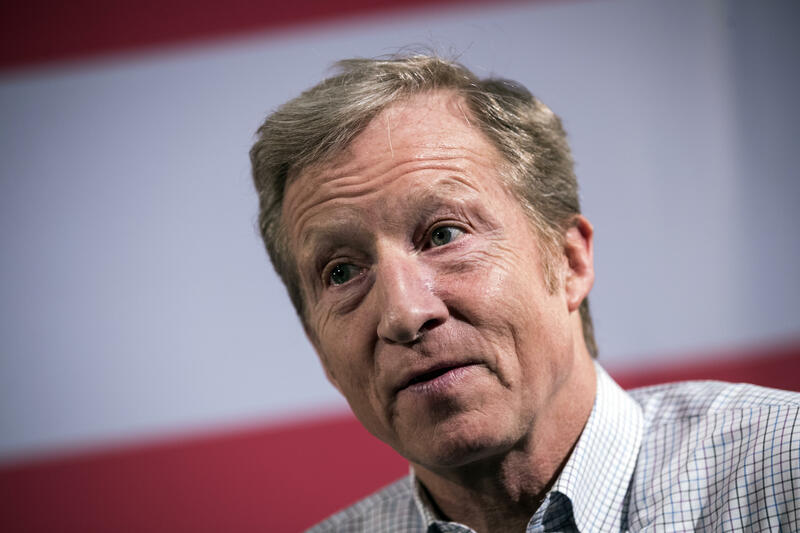 Tom Steyer, the billionaire Democratic donor, is criticizing a now-deleted tweet posted by House Majority Leader Kevin McCarthy, saying the message was anti-Semitic and symptomatic of a larger problem in the Republican party. The tweet from McCarthy claimed Steyer, George Soros and Michael Bloomberg were trying to buy the midterm elections -- a comment that Steyer, in a CNN interview, called "straight-up anti-Semitic." McCarthy, the No. 2 Republican in the House of Representatives, posted the tweet on Tuesday, and then deleted it the next day. "We cannot allow Soros, Steyer, and Bloomberg to BUY this election! Get out and vote Republican November 6th. #MAGA," McCarthy wrote in the tweet. Steyer and Soros were among the critics of Mr. Trump who received mail bombs last week. In an interview with CNN's "State of the Union," Steyer said he believes McCarthy meant what he tweeted, even though he took it down. "That seems, to me, like a straight-up anti-Semitic move," he said. "I think that absolutely falls into the category of what I'm describing as political violence." McCarthy's office notes that a group called the Coalition for Jewish Values issued a statement defending McCarthy against charges of anti-Semitism. The group describes itself as representing over 1,000 traditional rabbis in matters of public policy. "I have long known Kevin McCarthy to be a great friend of the American Jewish community and of Israel," said Rabbi Dov Fischer, the West Coast regional vice president of the group, "and what he said is not remotely anti-Semitic." Pointing out that Steyer is among those who have "invested heavily" to influence the elections is a "statement of fact," he said. The Anti-Defamation League notes there's a long history of anti-Semitic language and imagery promoting the idea "that Jews secretly worked together to gain control of the world; and that Jews already controlled world finance, business, media, entertainment, and Communism." Steyer's comments came a day after the Pittsburgh synagogue shooting, in which 11 people were killed. Authorities say the alleged gunman, Robert Bowers, told police he wanted "all Jews to die." The attack followed a sharp increase in anti-Semitic incidents and hate crimes in the U.S. last year. Steyer, a billionaire hedge fund manager who is active in Democratic politics, has run ads that call for Mr. Trump's impeachment. On CNN, he said he didn't blame the president for the shooting "but I'm absolutely associating and blaming him for creating the atmosphere that exists." "There's something much bigger than that going on here, which is the atmosphere that he's created and that the Republican Party has created in terms of political violence," he said. In response, Mr. Trump tweeted that he had watched the CNN interview with "wacky Tom Steyer" and said he "comes off as a crazed & stumbling lunatic who should be running out of money pretty soon."